Take the most fantastic voyage of all! 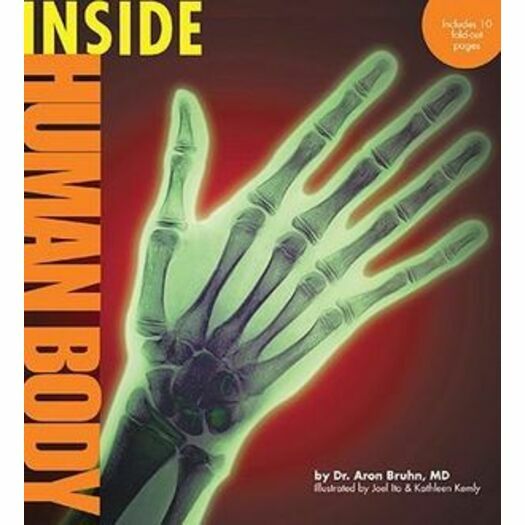 With more than 70 illustrations plus dynamic multiple full-body fold-outs, Inside Human Body offers thrilling close-up views of the heart, lungs, brain, nerves and more! Each system is presented in a child-friendly context, with answers to such questions as: What are goose bumps? Why do I have freckles? Why do my veins look blue if my blood is red? Kids will have a wonderful journey inside. Dr. Aron M. Bruhn is a surgical resident in the field of urology, practicing in New York University, Veterans Affairs and Bellevue hospitals. He is originally from California, where he trained at UCLA.